Unfortunately, Atlanta is somewhat infamous for its traffic. Transportation analytics firm INRIX ranked Atlanta the fourth-most congested urban area in the United States, with 70 peak hours and 10 percent of total drive time in congestion. In April 2016, DC Velocity reported that Georgia was planning to build two northbound truck-only lanes along Interstate 75 from Macon to McDonough outside Atlanta. The Atlanta Journal-Constitution reported that about 20 to 25 percent of the between 69,000 and 83,000 vehicles that traveled over Interstate 75 were trucks, with the amount expected to reach 82,000 to 100,000 vehicles a day and about 40 percent being trucks. DC Velocity noted that a Federal Highway Administration study identified 11 interstates where trucks would account for 40 percent of total traffic by 2040. Governor Nathan Deal’s office said in a statement that the project would reduce commuting times by 40 percent on the Macon to McDonough stretch by 2030. According to the Georgia Department of Transportation (GDOT), the I-75 Commercial Vehicle Lanes project will consist of two barrier-separated commercial vehicle-only lanes along I-75 from approximately the I-75/I–475 interchange near Macon to the McDonough area. The planning level cost estimate is $1.8 billion. In August 2017, WSB-TV reported that a report by the Georgia Department of Audits and Accounts states GDOT gave its initial approval “without clear indication that the project is a justified investment.” According to WSB-TV, the American Transportation Research Institute also released a study in 2017 stating that the trucking industry dealt with 996 million hours of delay on I-75 in 2015, which it stated was the equivalent of having over 350,000 truckers sit idle for an entire work year. The Georgia Department of Audits and Accounts report also found GDOT lacked a formal process and criteria for its selection decisions. The report also stated that GDOT did not conduct cost-benefit analyses for projects before selecting them for funding. The AJC reported on August 10, 2017, that the Transportation and Air Quality Committee of the Atlanta Regional Commission approved an amendment to the long-term transportation plan for projects included in Governor Deal’s 10-year, $10 billion major mobility investment program. The truck lanes were the exception, as the AJC reported that many of the projects in the governor’s program were already included in the ARC transportation plan. On November 15, 2018, the Henry Herald reported that relief for traffic on I-75 “may be a few years out.” At a meeting of the 75 Central Corridor Coalition, GDOT program delivery manager Matthew Fowler said truck lanes could reduce commercial vehicle travel time by 10 to 12 percent, and construction should begin around 2025. GDOT was seeking ways to expedite that timeline, Fowler said. Fowler also said freight transported by truck was valued at $537.7 billion in 2015 and was projected reach $993.6 billion in 2040. 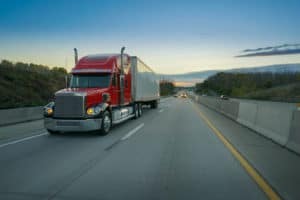 The truck accident attorneys of Spiva Law Group represent individuals in Savannah and across the state of Georgia who are hurt in collisions with trucks and other commercial vehicles. Schedule a free case evaluation by calling us or by reaching out to us online.